Born Karen Dinesen in 1885, Karen Blixen is revered as one of the great writers of the 20th century. She grew up in Denmark but later relocated to Kenya with her fiancé Baron Bror Blixen-Finecke. After marrying in Mombasa in 1914, the newlywed couple chose to go into the coffee growing business, buying their first farm in the Great Lakes area. In 1917, the Blixens brought a larger farm to the north of Nairobi. It was this farm that would eventually become the Karen Blixen Museum. Despite the fact that the farm was located at an elevation traditionally considered too high to grow coffee, the Blixens set about establishing a plantation on their new land. Karen’s husband, Bror, took little interest in the running of the farm, leaving most of the responsibility to his wife. He left her alone there often and was known to be unfaithful to her. In 1920, Bror requested a divorce; and a year later, Karen became the farm’s official manager. In her writing, Blixen shared her experiences of living alone as a woman in a highly patriarchal society, and of co-existing with the local Kikuyu people. Ultimately, it also chronicled her love affair with big game hunter Denys Finch Hatton - a relationship often hailed as one of the greatest romances of literary history. In 1931, Finch Hatton was killed in an airplane crash and the coffee plantation was stricken by drought, the unsuitability of the ground and the collapse of the international economy. In August 1931, Blixen sold the farm and returned to her native Denmark. She would never visit Africa again, but she brought its magic to life in Out of Africa, originally penned under the pseudonym Isak Dinesen. She went on to publish several other acclaimed works, including Babette’s Feast and Seven Gothic Tales. After leaving Kenya, Karen was plagued by illness for the rest of her life and eventually died in 1962 aged 77. 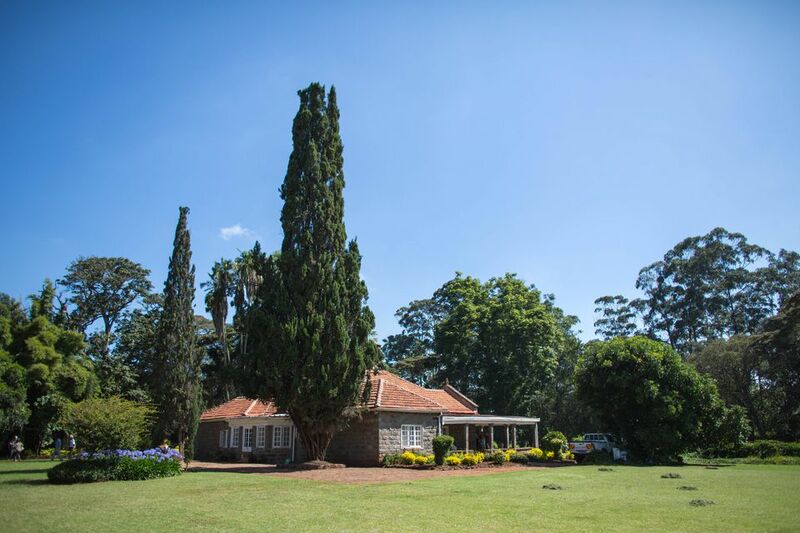 Known to the Blixens as M’Bogani, the Ngong Hills farm is a fine example of colonial bungalow-style architecture. It was completed in 1912 by Swedish engineer Åke Sjögren and purchased five years later by Bror and Karen Blixen. The house presided over 4,500 acres of land, 600 acres of which were cultivated for coffee farming. When Karen returned to Denmark in 1931, the farm was purchased by developer Remy Marin, who sold the land off in 20-acre parcels. The house itself passed through a succession of different occupants until it was eventually purchased by the Danish government in 1964. The Danes gifted the house to the new Kenyan government in recognition of their independence from the British Empire, which had been achieved several months earlier in December 1963. Initially, the house served as a College of Nutrition, until the launch of Pollack’s film version of Out of Africa in 1985. The film - which starred Meryl Streep as Karen Blixen and Robert Redford at Denys Finch Hatton - became an instant classic. In recognition of this, the National Museums of Kenya decided to transform Blixen’s old home into a museum about her life. The Karen Blixen Museum opened to the public in 1986; although ironically, the farm is not the one featured in the movie. Today, the museum offers visitors the opportunity to step back in time and experience the elegance of Blixen’s Kenya. It is easy to imagine colonial dignitaries sitting down to tea on the house’s expansive columned verandahs, or to conjure up images of Blixen walking through the garden to greet Finch Hatton upon his return from the bush. The house has been lovingly restored, its spacious rooms furnished with pieces that once belonged to Karen herself. Guided tours offer an insight into colonial life in the early 20th century, as well as the history of coffee cultivation in Kenya. Visitors can expect to hear stories of Blixen’s time at the farm, brought to life by personal objects including books that once belonged to Finch Hatton and a lantern that Karen used to let him know when she was home. Outside, the garden itself is well worth visiting, for its tranquil atmosphere and its breathtaking views of the famous Ngong Hills. The museum is located six miles/ 10 kilometers from the center of Nairobi in the wealthy suburb of Karen, which was built upon the land developed by Marin after Blixen’s return to Denmark. The museum is open every day from 9:30 am - 6:00 pm, including weekends and public holidays. Guided tours are offered throughout the day, and a gift shop offers Out of Africa memorabilia in addition to traditional Kenyan crafts and souvenirs.